“While I am aware that this vindication is but the start of what may be a long and arduous process, I am committed to see this legal battle to the very end,” Wilfredo Keng said in a statement. 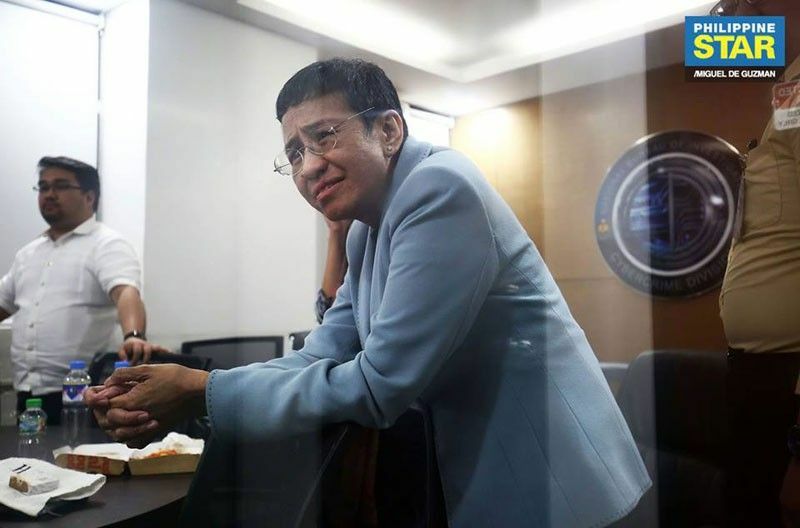 MANILA, Philippines — Businessman Wilfredo Keng yesterday thanked the Department of Justice for resolving to file cyber libel charges against online news website Rappler officers Maria Ressa and Reynaldo Santos and he is prepared for a lengthy legal process. “While I am aware that this vindication is but the start of what may be a long and arduous process, I am committed to see this legal battle to the very end,” Keng said in a statement. In its May 2012 article, Rappler identified Keng, who was supposedly linked to human trafficking and drug smuggling, as the owner of the black Chevrolet Suburban van allegedly used by former chief justice Renato Corona. At that time, one of Keng’s companies had a pending case in a lower court, Rappler reported. Keng refuted the story and charged the respondents with violation of Republic Act 10175 or Cybercrime Law. Keng is the chairman, president and chief executive officer of Century Peak Metal Holdings Corp. He was also the president of Colony Investors Inc., Good Earth Plaza, U-Need Shopping Center, Carriedo Plaza and Balikbayan Shopping Mall. His business interests in China include Fil-China (Tianjin) Textile Inc., Colony Real Property Development (Weifang) Inc. and Wuzhou Long (Quanzhou) Automotive Mfg. Co. Ltd.
“Upon seeing the libelous article and prior to resorting to judicial remedies, I tried to formally and informally communicate with Rappler in order to have the said article taken down, clear my name and restore my reputation,” the statement reads. He said Rappler repeatedly promised him, through formal and informal channels, that they will take down the article but the agency never did. He said he had secured clearance from the National Bureau of Investigation certifying that he has never been investigated, arrested, detained, indicted or convicted in connection with any crime. “This story is not just about an ordinary suit filed by a private and hardworking citizen to clear his name. It is, in reality, a test case on the how the Philippine legal and judicial system will fare against the dangerous precedent that is being set by one reckless and irresponsible member of the media and of the online community,” he added. Meanwhile, police investigators are allegedly verifying the reported involvement of Keng in illegal drugs and other crimes. Philippine National Police (PNP) spokesman Senior Supt. Bernard Banac said investigators have no information on Keng’s alleged illegal activities. Two ranking police officials handling anti-criminality operations who refused to be identified, said yesterday that they also have not received any information that Keng is involved in any illegal activity.